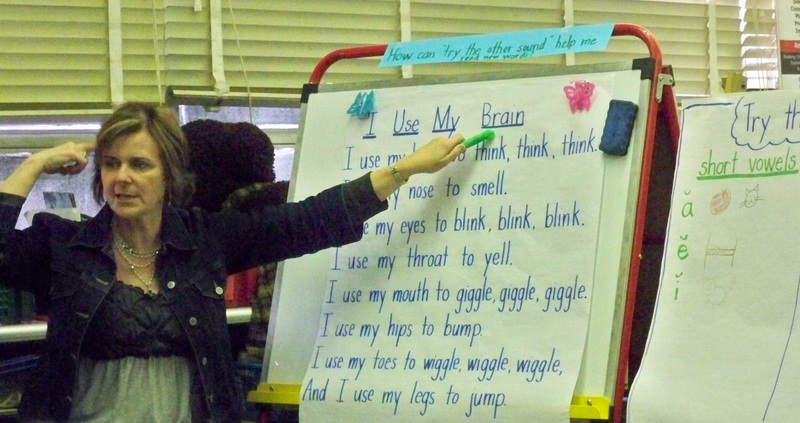 One of my favorite decoding strategies to use in 1st and 2nd grade is to teach kids to “Try the Other Sound.” I first read about this strategy in a Reading Teacher article many years ago. We made an anchor chart showing the short and long vowel sounds, and then we applied this strategy to a new poem in shared reading. 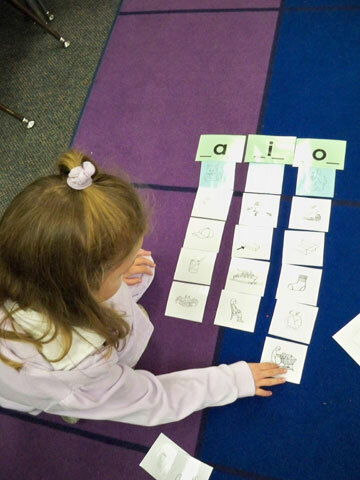 We tell kids to “try the other sound” of the vowel when the first sound they try doesn’t make sense. We also posted an “Essential Question” on the easel to remind students of the focus of today’s lesson. 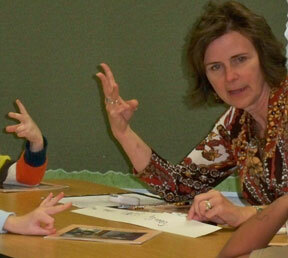 The class tries "Try the Other Sound" as they read a new poem together in shared reading. 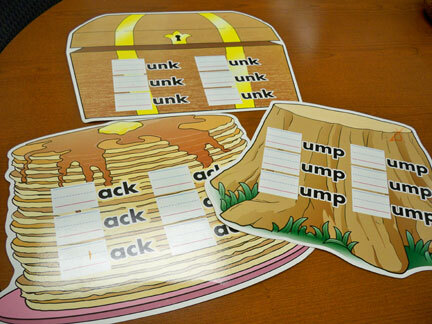 Often, primary teachers have many phonics materials available in their classrooms. 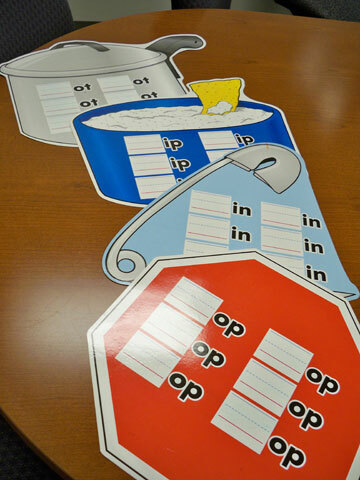 One teacher I worked with had write-on cutouts for students to use for working with word families. 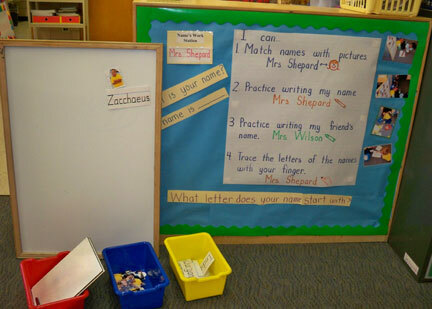 These are good materials for literacy work stations. However, don’t put out too much at once. 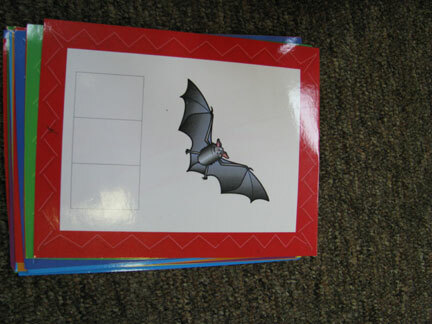 And differentiate the materials so the right kids are working with the right word study patterns. 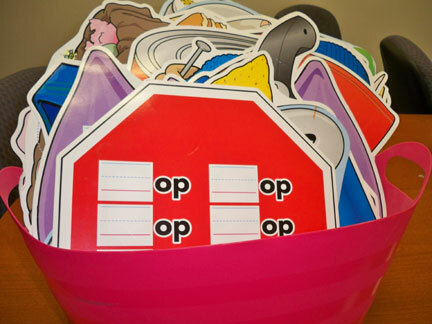 Dont put out all the phonics charts at once. Less is more! These word study patterns are the easiest ones from the set. 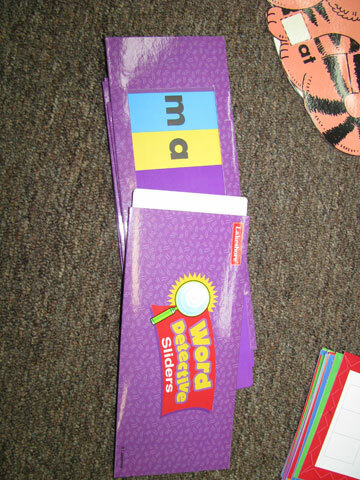 Use these with students reading easier books at DRA levels 5-6. Other students at DRA levels 5-6 might use these cards with more challenging patterns after they show mastery of easier ones. 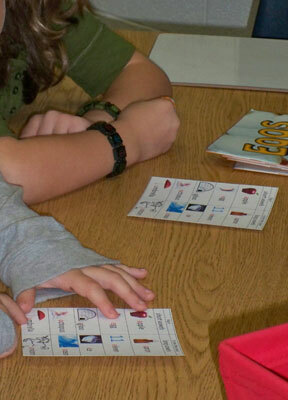 For kids working at DRA levels 3-4, provide CVC activities, such as these write the CVC word picture cards with Elkonin boxes or Word Sliders from Lakeshore (after youve taught with them in small group).